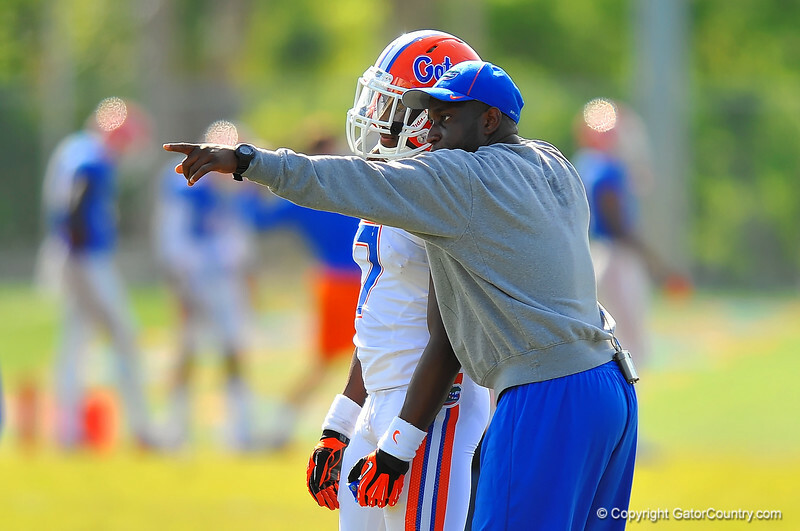 Gator defensive backs coach Travaris Robinson coaches up DB Duke Dawson during practice. Florida Gators Spring Practice 2014. March 26st, 2014. Gator Country photo by David Bowie.